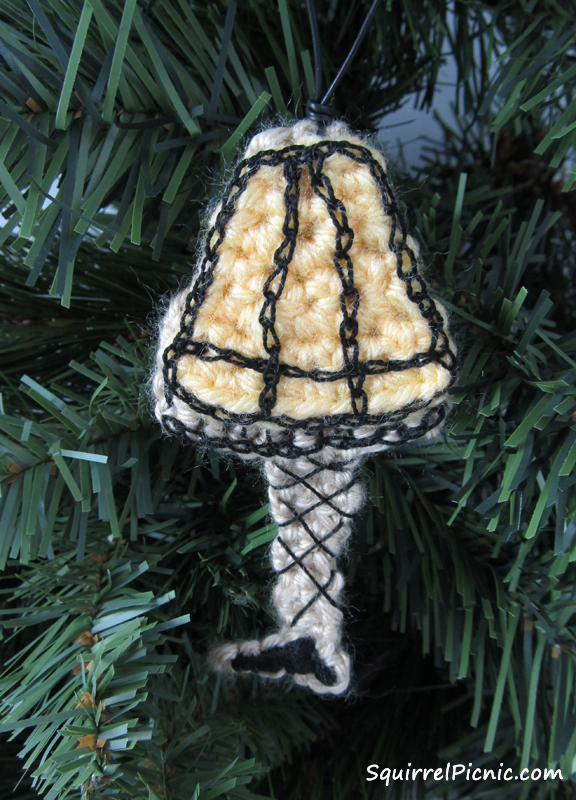 When I was deciding on which Christmas cookies to crochet for this series, I googled “popular American Christmas cookies,” and believe it or not, the Christmas Story Leg Lamp cookie came up. How awesome is it that they now sell cookie cutters in the shape of the iconic leg lamp from the famous movie? 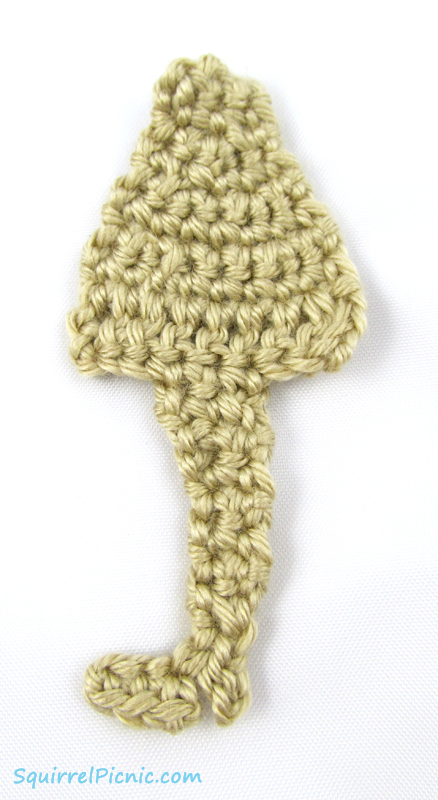 I just had to crochet this, and now you can too! 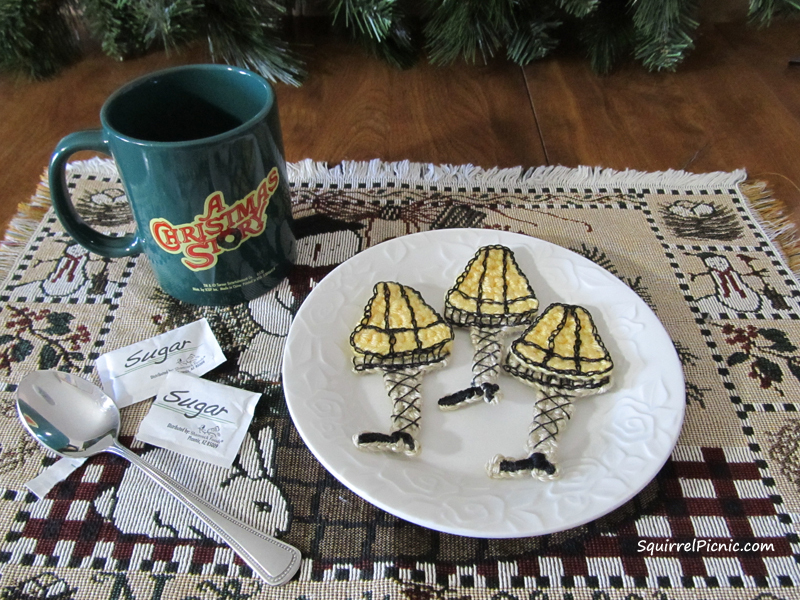 Displayed on a plate or hanging on your tree, these cookies are sure to catch the attention of everyone in the room. It’s a major award! Note: You will need to have some experience in basic embroidery stitches. Row 18: Picot (ch 4, slst in back of 1st ch). Turn and sc in the 1-ch at end of Row 17. Row 19: Ch 4, turn, sc in each (3). BO and weave in ends. With yellow yarn, repeat rows 1-7. Row 8: Sc in each st across. BO, leaving a long tail for sewing. Sew this on top of the beige leg. Using DMC black embroidery floss and a satin stitch, embroider the black pump. Using black embroidery thread and a long-armed cross-stitch, embroider the fishnets. Using black embroidery thread and a chain stitch, embroider the lamp’s outline. 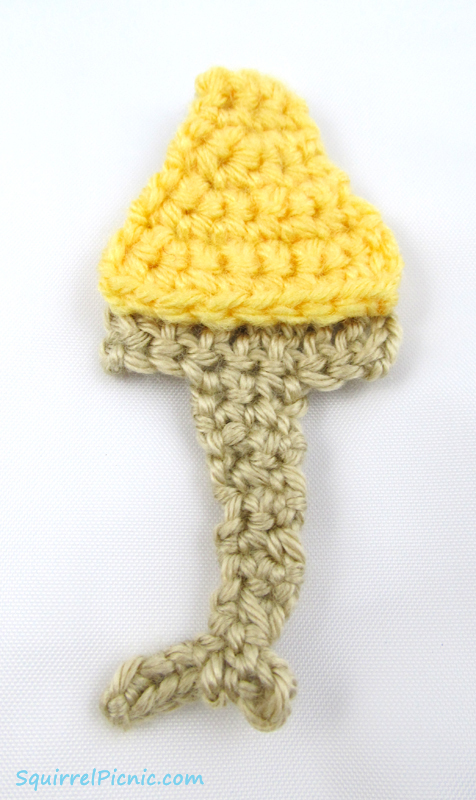 For the fringe, run single stitches from the bottom chain to the base of the yellow part of the crocheted lamp. Thread cord or satin ribbon through a stitch at the center of the top for hanging. 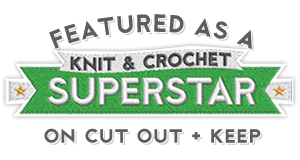 Categories: Crochet It, Uncategorized | Tags: A Christmas Story, Christmas, cookies, crochet, fishnets, Fra-gee-lay, It's a major award, leg lamp, ornaments | Permalink. Wow !! that’s so wonderful. Thanks for sharing the pattern. 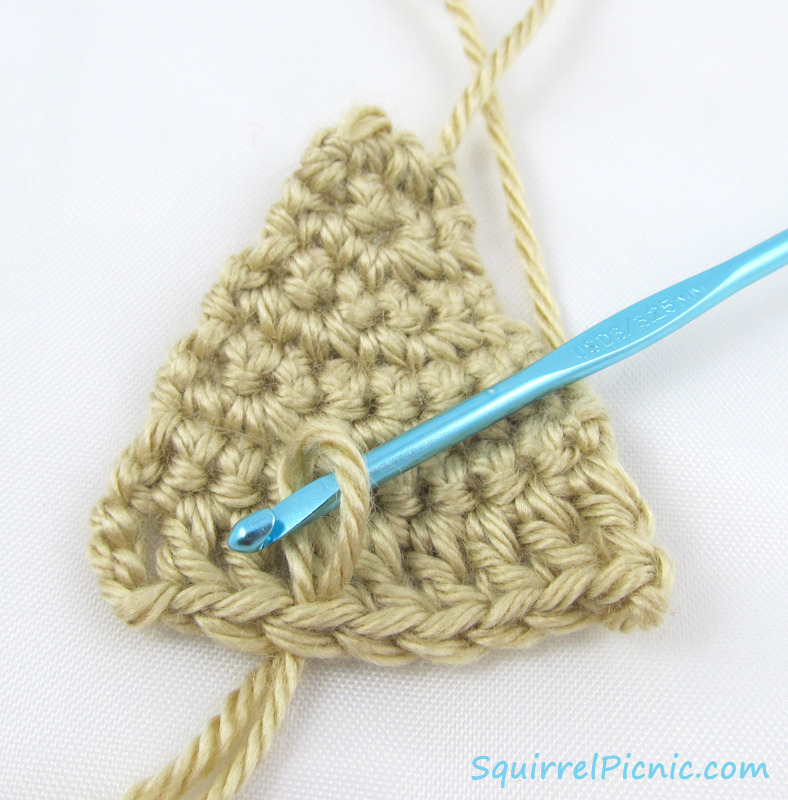 I am at the moment obsessed with crochet applique and am going to try it first thing tomorrow 🙂 I am excited about this ! Great! I’m so excited that you’re excited! 🙂 I hope you have a fun time making these. They are fab! Good enough to eat! The best part is, it’s not frah-gee-lay. No need to pack it in a crate to keep it damage free! Yay! I’m so glad your mom loves it too. That makes me smile. Oh-nooooooooooooo! Lol. I can’t wait to watch this movie again this year. Never gets old for me. Love the way you put that together! Thanks for sharing – amazing! another one of your great work! love these leg lamps. Sorry I came this slate to check. Had major problems with both of my computers.